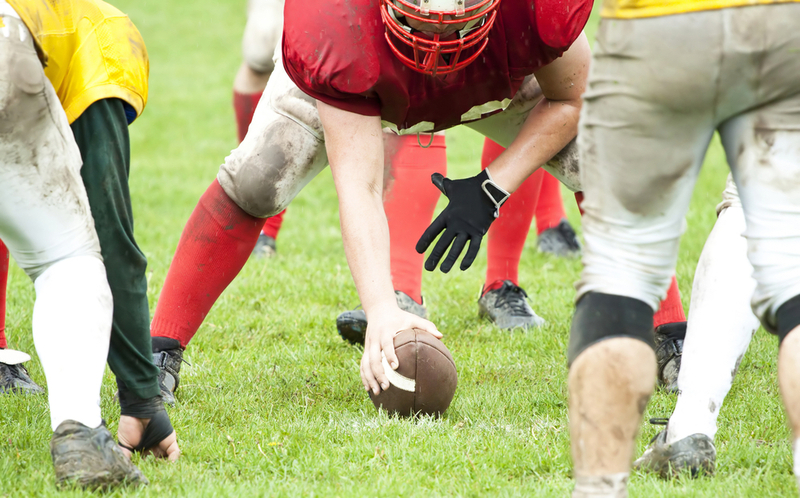 From offensive and defensive linemen to running backs and special teams, here are different braces that can help manage a football injury per position. Ligament Injury: Whether MCL or LCL, a lineman can suffer from a ligament injury because of the type of movement and contact they go through. To help manage a ligament injury, you can consider the Bionic™ Drytex™ Knee Sleeve. The Drytex™ Knee Sleeve is a joint stabilizing, bilateral-hinged knee sleeve with an open patella design to help protect and stabilize the knee. So, when you’re on the field you can help prevent re-injury of the MCL/LCL. ACL: One of the most common knee injuries in football is the ACL tear. The cause can be from a rapid change in direction, direct collision to the ligament, or sudden stop. The Bionic™ Fullstop™ Knee Brace is part of our stable line of sports performance bracing products and delivers ACL hinged protection. Designed with dampening hinge technology and ACL strapping, this knee brace helps keep you out of the “at risk” zone for an ACL tear. Patellofemoral Pain Syndrome (PFPS): PFPS, also known as runner’s knee, can be mild to severe knee pain in the back of the kneecap. PFPS can occur from misalignment, tight or weak thigh muscles (hamstrings, IT Band, quadriceps, hip), or wrong footwear. Onset can be gradual or the result of a single incident. To help manage PFPS, you can use the Bionic™ Drytex™ Knee Sleeve. The open patella buttress helps protect and stabilize the kneecap during movement. Wrist Hyperextension/Wrist Fracture: A fall on the hand can cause a wrist hyperextension or fracture. Since there’s a high chance of tackle in the lineman position, the Wrist Wrap can help stabilize the wrist without hindering hand movement. Designed with double strapping and double wrap, this brace delivers a secure fit and additional stabilization. Elbow Hyperextension: Because landing on the hands is a possibility during a tackle, a lineman is susceptible to a hyperextended elbow. Designed with hyperextension stops, the Bionic™ Elbow can help manage and prevent re-injury of the elbow. The innovative cross strap construction immobilizes the elbow joint for protection and stability. From running and throwing to catching and tackling, these offensive and defensive positions are prone to injuries from sudden movement, collision or overuse. Acromioclavicular Joint (AC) Sprain/Shoulder Injury: An AC Sprain can happen when a player gets hit and is brought to the ground while the other player is on top of you. Sometimes a tackle can cause a shoulder dislocation too. Repetitive throwing from the QB can cause wear and tear to the shoulder as well. The DonJoy® Sully® Shoulder Brace provides shoulder stabilization to post-injured shoulders. The hard-shelled foam pad helps protect the AC joint from further injury. On the inside, the perforated, rubber-like neoprene grips the skin to support your shoulder during activity. Elbow Hyperextension: As mentioned above, landing on the hands may cause hyperextension of the elbow. Because these positions can get tackled from various positions while running, they are at risk of elbow hyperextension. The Bionic™ Elbow can help manage and prevent re-injury of the elbow. Ankle Sprain/Ankle Roll: Whether it’s direct collision, a wrong step, or awkward turn, ankle sprains or rolls can happen. The Bionic™ Speed-Wrap Ankle Brace is a stabilizing ankle brace that features a quick, speed-wrap lace system for enhanced stability and no-hassle application. With removable, flexible stabilizers, the Speed-Wrap Ankle Brace provides maximum medial/lateral protection when on or off the field. Typically, a special teams position doesn’t encounter many collisions. However, the kicking and running can result in these injuries. Hamstring Strains: Tight hamstring, overstretched, not warmed up or overused, sprains to the hamstring can cause irritation to a special team player. To help alleviate pain associated with a hamstring sprain, the Compression Thigh Sleeve delivers warmth and compression to help reduce bruising, swelling, and muscle soreness. Patellofemoral Pain Syndrome (PFPS): Because special teams players don’t encounter much contact, the Stabilizing Knee Sleeve is light and supportive for kicking and running movement. The Stabilizing Knee Sleeve delivers mild support to the kneecap and helps alleviate inflammation/swelling to the knee. With any injury, it’s important to speak with your physician for proper diagnosis, treatment, and instruction for returning to football. The contents of this blog were independently prepared, and are for informational purposes only. The opinions expressed herein are those of the author and are not necessarily indicative of the views of any other party. Individual results may vary. Neither DJO Global, Inc. nor any of its subsidiaries dispense medical advice. The contents of this blog do not constitute medical, legal, or any other type of professional advice. Rather, please consult your healthcare professional for information on the courses of treatment, if any, which may be appropriate for you.